New Jersey catechist takes on challenge to visit 1,000 churches in U.S. 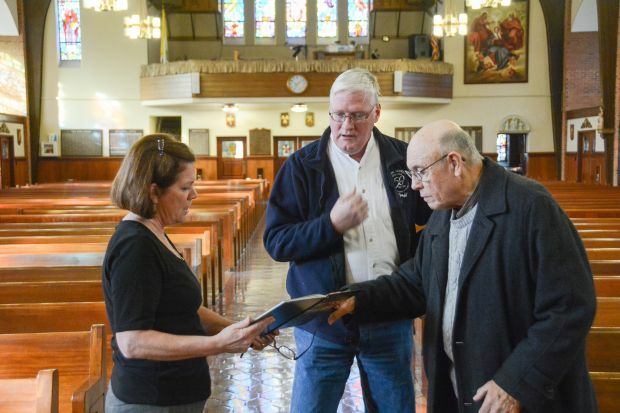 The challenge began roughly two years ago, and the catechist — who also handles maintenance for St. Ann Parish in Lawrenceville — has already visited more than 700 churches across 19 states. Seaman is passionate about his work, and he is always thinking of new ways to engage his students. By participating in the 1,000-church challenge, Seaman has been able to show his students all different kinds of churches throughout the country that they might otherwise never have gotten the chance to see. “I decided to make it my own pilgrimage — to visit as many churches as I can and take pictures,” Seaman explained. He has assembled a bulletin board with the photos for his students to view. While Seaman tries to tour the inside of each church he visits, he sometimes is unable to because the church is locked, or in some instances, spaces are being used for events like weddings or funerals. When he can gain access, Seaman makes a point to always show respect. He won’t take pictures if there are people trying to pray, and sometimes he will wait until the church is empty. He also tries to visit during a special event or Mass, if possible. While Seaman is more than two-thirds of the way toward achieving his goal, he said that it now takes longer to reach churches he has not yet visited. He hopes to hit his final milestone sometime next year. He has already set his next goal — to visit at least one church from each state along the East Coast. Seeking to involve his students in his journeys, Seaman created a project involving a “March Madness” of churches, in which groups of students narrow down groups of churches until the class as a whole choose the one they liked the best. Since starting this challenge, Seaman has come up with another project that he now assigns to his religious education students each year — a challenge to them to design their “dream” houses of worship. The students are encouraged to look through all of the pictures that he has taken and pick their favorite features from among the samples. Some students focus on the different types of architecture and buildings themselves — which vary from simple, country churches to intricate stone cathedrals. Others focus on specific elements of the structures, like stained-glass windows, the arrangements of pews or altar designs. The students then present their dream churches to the rest of the class, sharing why they selected them, what they might change and what the structures mean to them. They are also handed a camera to take a single photo of some element of their own parish church that stands out to them. “It’s interesting seeing what they choose and what they find to be the most important things. I develop them myself and then give them copies,” Seaman said. Through what they photograph, Seaman can find out what they find most interesting. He keeps these elements in mind when he photographs churches he visits. Their dream church presentations include naming the worship space, which many designate by their first names. One of Seaman’s hopes for his students is that they will learn that the Catholic Church is more than just a building — it’s also the people in the building. Seaman compared a church building to a family’s dining room table — while the table might look different in every home, it serves the same purpose and facilitates the same gatherings. Likewise, churches might vary in shape, size or design – but all carry the same meaning and purpose. Sass is a special contributor and Karas is a correspondent for The Monitor, newspaper of the Diocese of Trenton.